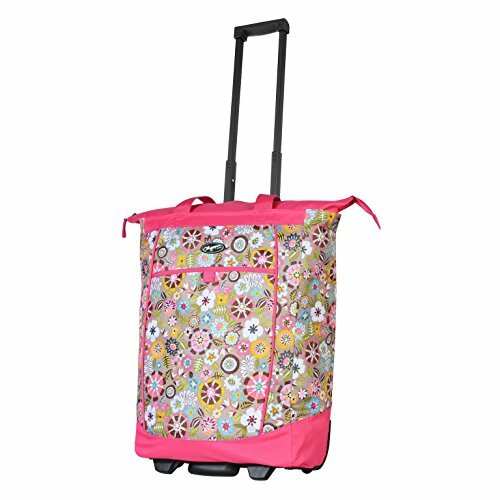 Olympia Luggage Rolling Shopper Tote (Tulip) | What Should I Say? Free Shipping Included! Olympia Luggage Rolling Shopper Tote (Tulip) by Olympia at What Should I Say?. MPN: 43237-2. Hurry! Limited time offer. Offer valid only while supplies last. Dimensions (H x W x L): 20 x 14 x 8 Inches; Capacity: 2300 cu. in. & Weight: 4.2 lbs.